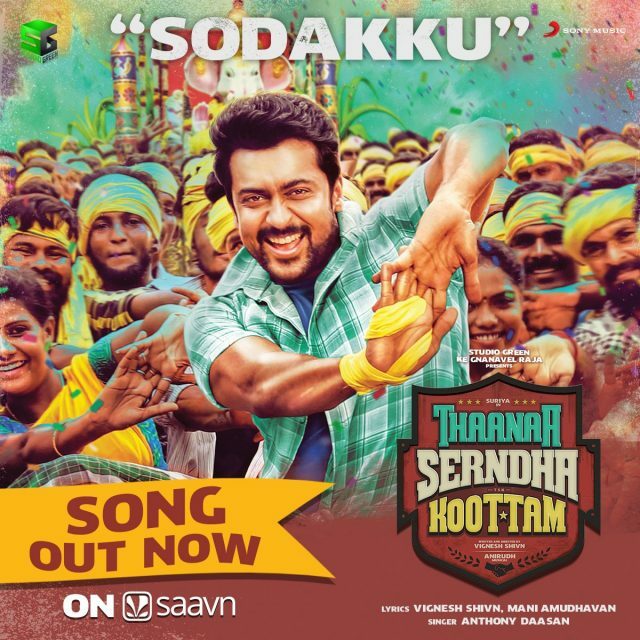 The Sodakku single from ‘Thaanaa Serndha Koottam is quite foot tapping. If you are a fan of the much-loved Suriya then get ready to rejoice as we have some awesome news in store for you. In an exciting development, the latest single for his upcoming film ‘Thaanaa Serndha Koottam’ has been released and it is quite good. Titled ‘Sodakku’, it has been composed by Anirudh Ravichander and has a lively feel to it. This is bound to strike a chord with music lovers immediately courtesy its lively beats. It will be worth watching whether the picturisation of ‘Sodakku’ does justice to its energetic beats. In case you did not know, ‘Thaanaa Serndha Koottam’ is touted to be a crime-thriller and is being directed by Vignesh Shivn. If will goes as planned, it will hit screens during Pongal 2018. Besides Suriya, TSK also features Keerthy Suresh in the lead. The supporting cast includes names such Ramya Krishnan and RJ Balaji. Initially, it was reported that TSK would be a remake of the Akshay Kumar starrer ‘Special 26’. However, a source had soon made it clear that only the core plot of TSK is similar to the Neeraj Pandey directorial. So, did you like the latest single from ‘Thaanaa Serndha Koottam’’? Tell us know in the space below. To,Mr Kamalhassan, Your words silently fall in the sounds of silence.It is our fate.What to do?